The Imperial Palace of Rio de Janeiro was built in 1743 and was one of the main political centers of Brazil for 150 years. Over the centuries, it served as the main residence of colonial Governors, both the main residence of the Portuguese royal family, as well as the primary workplace of the subsequent Brazilian royals. It also served as the royal mint. "If it's for the good of all and the general happiness of the nation, I am ready. Tell the people I'm staying." Abolitionists were at the forefront of the fight to keep the crown in Brazil. 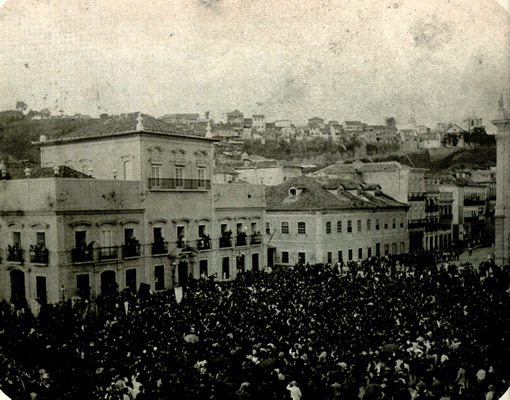 The first public protest march in Rio de Janeiro left from the Black Church and proceeded to the Imperial Palace. The concern of Blacks and Africans was that Brazil would be forgotten as a remote colony if the government went back to Lisbon. This would put an end to any serious fight for the definitive end of slavery in Brazil. It became imperative to keep the crown in Brazil in order to keep the plain horrors of chattel slavery under the noses of those who had the power to end it. No other European crown set foot on the American continents. No other European crown received petitions for freedom from enslaved Africans. No other European crown walked past a slave market. This is a unique piece of Brazil's history that has no comparison. 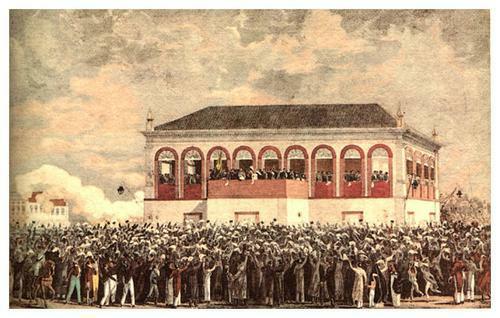 Staying Day is often cited as an important precursor to Brazil's independence from Portugal, declared on September 07, 1822. What's almost never cited is the role of Africans and Afro-Brazilians in that fight. 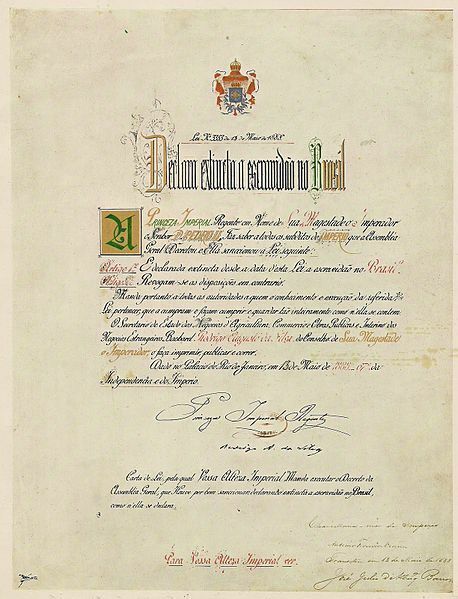 More than 60 years later, Princess Isabela, acting as regent, ended slavery with the signing of Lei Áurea, The Golden Law. This law had only two articles and was signed with a diamond encrusted gold pen to symbolize its status as a law above all other laws. Article 1: From this date, slavery is declared abolished in Brazil. Article 2: All dispositions to the contrary are revoked. That pen is on display at the museum in Petropolis, where the royal family had their residence, not at the Imperial Palace. I find this artifact to be a symbol of Brazil's entrenched contradictions with regard to her own history. Gold and diamonds. Where did these precious materials come from? Who mined them? Under what conditions? How did a European crown gain possession of these materials? And to fashion a device that would codify freedom, from these materials, as a symbol of the greatness and the correctness and the definitive supremacy of this law? Gold and diamonds. Was the ink made of sugar? Brazil was the last country in the Americas to abolish chattel slavery. In the long fight for emancipation, the Brazilian government tried to avoid any confrontation with the inevitability of the end of the Atlantic Slave Trade. A series of laws were enacted over time in an apparent attempt to let slavery disappear quietly on its own. The law known as "freedom in the belly" was signed in 1871, declaring that children born of enslaved mothers would be born free. The "sexagenarian law" of 1885 freed all persons over the age of 60. What perhaps was either consciously known or just deeply sensed was that the monarchy would not be able to hold its power without the wealth generated from this system. Just 16 months later, November 15, 1889, the crown would fall and Brazil would become a republic. Lei Aruea (The Golden Law): Article 1: From this date, slavery is declared abolished in Brazil. Article 2: All dispositions to the contrary are revoked. 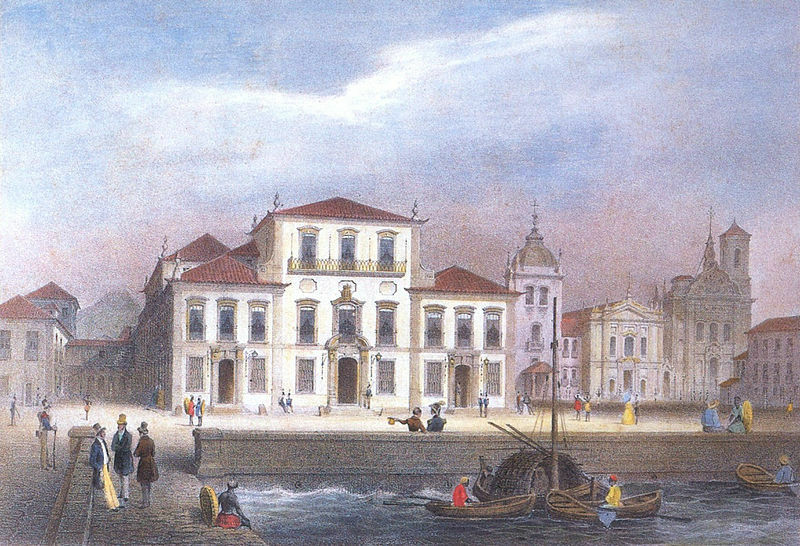 Sadakne Baroudi, “The Imperial Palace,” Afro-Rio Walking Tour, accessed April 26, 2019, http://afroriowalkingtour.com/items/show/21.